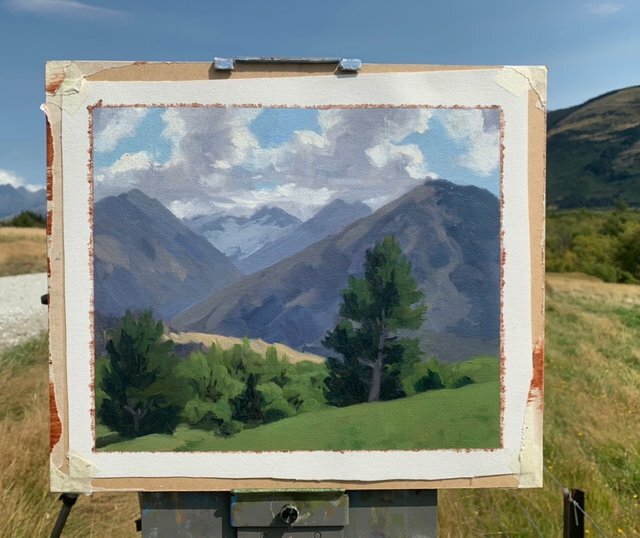 Day two of the epic en plein air painting adventure with my buddies Andrew Tischler and Freeman White. We went to a place called Glenorchy, around 45 minutes drive away from Queenstown. We drove into the Rees Valley and found this beautiful view of pines and willow trees set to a backdrop of high mountains. I painted this art work from life. 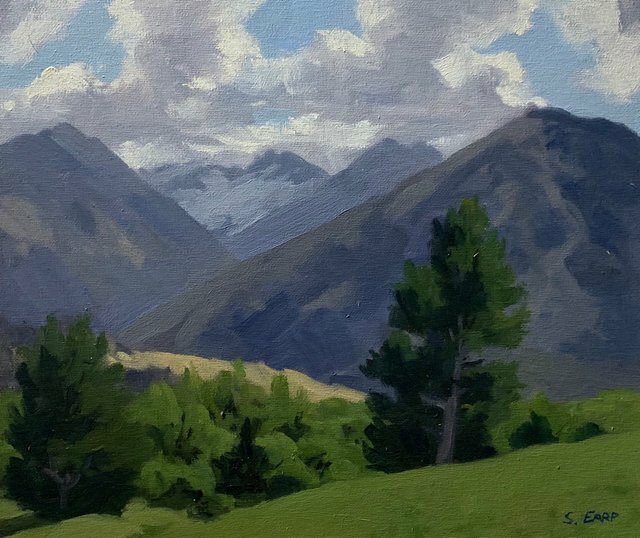 Rees Valley, New Zealand, 10” x 12” (approx), oil on canvas, painted outdoors en plein air.